the possibility to win on symbol combinations from both left to right and right to left. and Possibly increases the wins up to x8. 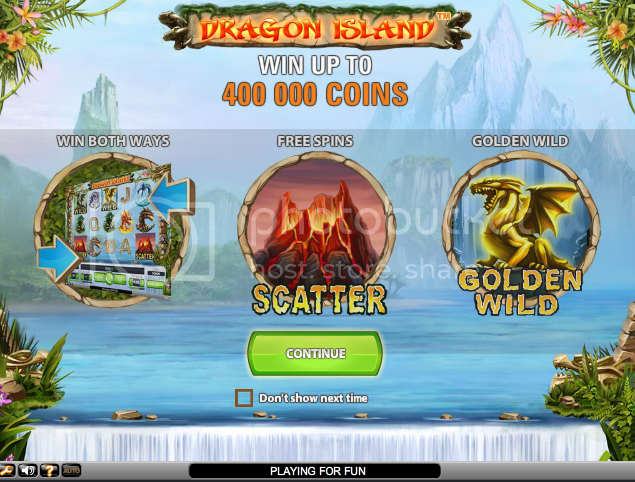 With so many ways to win, players will not be able to resist taking a spin on Dragon Island. Try the newest Net Entertainment video slot today!!! The myBet Casino offers new casino members upon their first casino deposit a fabulous bonus of up to 500. The bonus will be automatically booked in the casino system. The amount and status of your bonus can be viewed during play by clicking on "My Account"
The bonus amount (premium) will be automatically credited to your myBet account after the conditions of your bonus have been fulfilled. Played this in fun mode for an hr today... lol I am so mad I can't play for real because this is the coolest slot to hit the net in a long time! 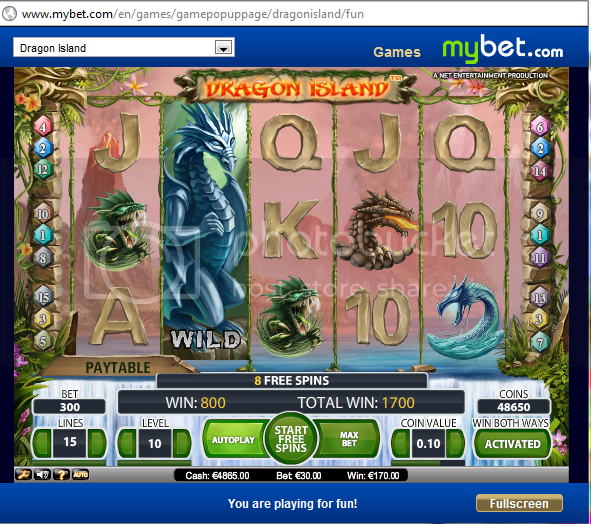 During the free spins the expanded wild dragon symbol moves around randomly and the sounds are also really cool. WTG NetEnt!!! Net Entertainment has been putting out some great games lately. Forget Microgaming, I would rather play these games!!!!!!! Come on US, let us play!